with the music of CYAN! St. Patrick's Day Festival Friday Night Kick-Off Event featuring food trucks from All-Star Cafe Roman's Treats & Dogs, Two Chicks and A Truck, Tony T'zzz Grill on Wheels, AND Dirty South Kettle Corn; beer garden operated by Clover Jaycees. Download the festival map & vendor placement documents HERE. A big warm welcome to a whopping 93 participating vendors to the 2019 festival! 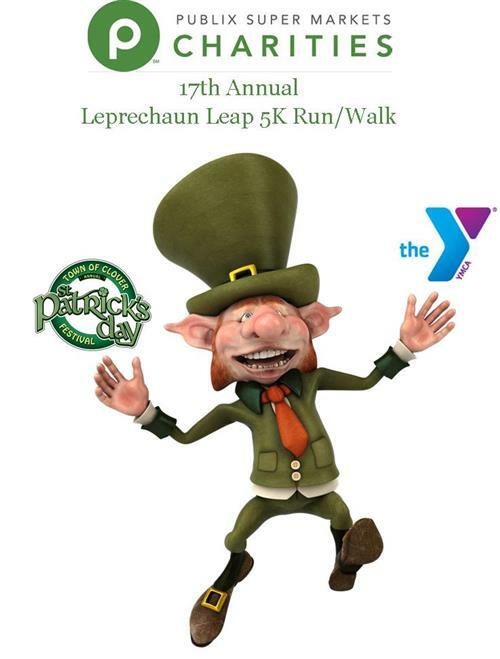 The Publix Charities 17th Annual Leprechaun Leap 5K Run/Walk is sponsored by the Upper Palmetto YMCA and all proceeds will go to the Upper Palmetto YMCA's Scholarship Fund. Prizes will be awarded for the BEST Irish costumes. Registration/Check-In begins at 8:00 AM. Race will begin promptly at 9:00 AM at the front of the First Baptist Church of Clover FBCCLOVER. Make sure to bring your completed form to the Clover YMCA branch. You can sign up at the Clover YMCA, 107 South Main Street or register online by clicking HERE. MAKE SURE TO STAY AFTER THE RACE AND JOIN IN ON THE ST. PAT'S FESTIVITIES!!! Each race participant will receive their choice of either, $1.00 off the purchase of an attraction wristband or $1.00 off the purchase of a beverage from participating vendors. To the funky rhythms of Chunky Daddy from 12:00 PM to 4:00 PM at the Catawba Street Music Stage. 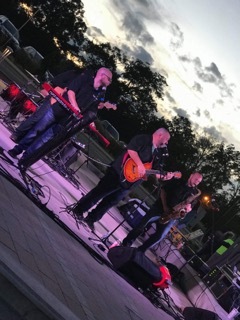 The Chunky Daddy Band is a funky party group who bring the FUN to the party!!! They're made up of a five-member group --> Soul Daddy, Big Daddy, Mack Daddy, Funk Daddy & Sugar Daddy. Check them out by visiting their website https://www.chunkydaddy.com/welcome. Students of different ages singing solos, duets and trios; performing short Broadway theme scenes or monologues. With their much-anticipated Spring 2019 musical of Junie B. Jones, Showtime Theatre Company is taking theatrical education to the next level! To learn more about Showtime Theatre Company, visit their website www.showtimetheatrecompany.com. They're back.....the Broadway Bound Dance Competition Team. Throughout their dance season, the Broadway Bound Dance Competition Team compete with studios near and far in many different cities. They are award-winning dancers that have been given scholarships to NYC, LA, and Orlando, and also have dancers who have been titled Miss Dance USA 2018 and 2019. You can’t miss them because they are an amazing group of extremely talented young ladies...and they are sure to have you up & dancing, right along with them. Don't miss their performances!!! Being bred from the countrysides of South Carolina, Joe Levi was brought up on the classic rock bands such as Queen, Led Zepplin, and Poison, but was also introduced to many different forms of modern music including John Mayer, Coldplay, and Maroon 5. Levi’s rich tone and soulful blend follow an indie groove that leaves you wanting more. His EP “Pride Wars” was released in March 2017 which included four songs that came with some success, including “Coming Home”. Levi currently has an album set to release in late 2019 under an independent label. His aspirations for this album are to bring his electric sound to the forefront, with a fresh new modern take. Brittany Winans is a classically trained mezzo-soprano completing her final semester at Winthrop University. In May, she will receive her undergraduate degree, a BM in Vocal Performance with a minor in theatre. In the program, Brittany has performed countless plays, musicals, operas, and choral ensembles. She plays keys and sings in the band Cyan, who opened this St. Patrick’s Day Festival on March 15th. Brittany is a 200-hour Yoga Alliance certified yoga instructor and enjoys incorporating music and performance into her practice and teaching in the Rock Hill area. Brittany Winans and Joseph Levi will be performing one hour of music together with their voices, ukulele, and guitar. Together they will play and sing many genres’ including pop, indie, rock, and jazz. The duo will also showcase the original songs that they have written as solo artists and together as the band Cyan. WHO LET THE DOGS OUT?!?!?!? 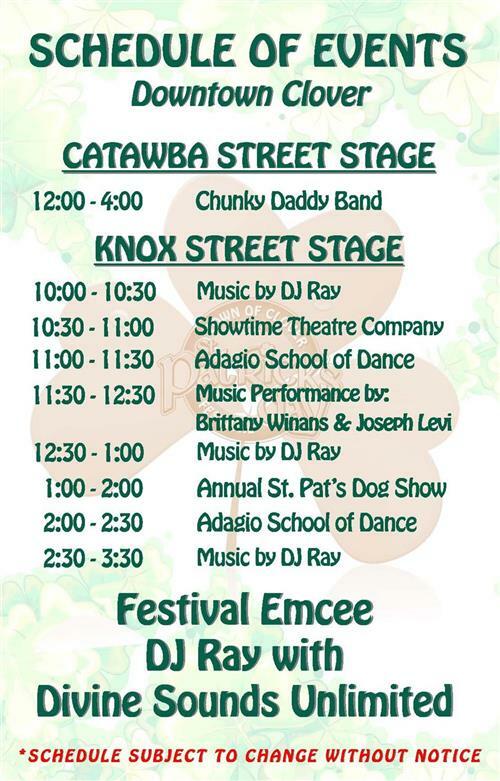 Dog Show is scheduled to take place at 1:00 PM at the Knox Street Family Stage. Sign up at the Petsen$e Lake Wylie booth, next to the stage before 12:30 PM. Line up will begin at 12:45 PM. Prizes will be awarded to the first and second place pooch winners. No more yapping! Sign up TODAY. Download the dog show registration form HERE.